Home and Business automation is the future of security. 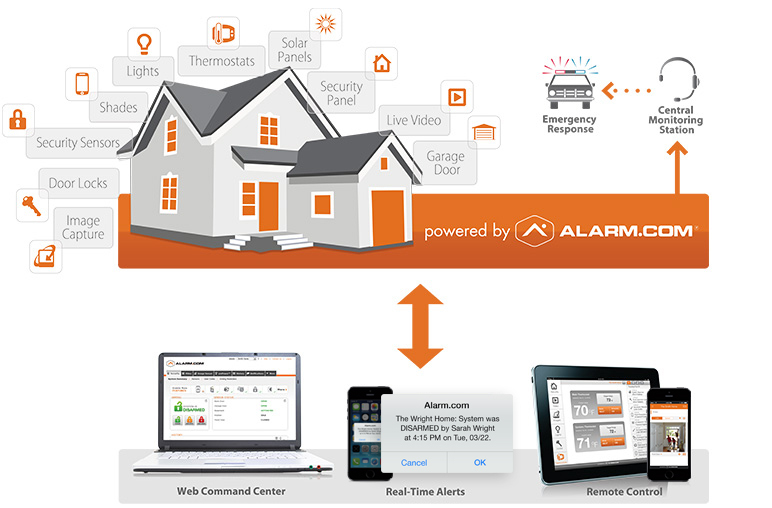 We offer a wide variety of smart security devices that make Home & Business Automation possible. These smart devices seamlessly integrate with our state of the art security panels, which allow you to control more in your home or business than just security from any device, anywhere in the world. Do you want the lights to come on when you disarm the alarm from your phone? How about automatically turning the lights off after you leave? With this system tasks can be automated and customized to meet your lifestyle. No longer do you have to worry about locking the doors, adjusting the thermostat or turning devices off. To transform your home into smart homes contact ITD Systems & Security offering a wide selection of smart security devices that help in automating your home.